Are you psyched? 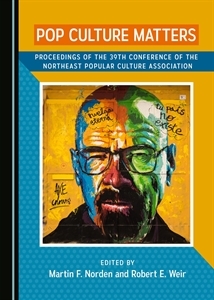 NEPCA’s annual conference opens on Friday and we’ve got a dynamic program on tap. Additional receipts are also available at check in, but please remember to ask for a receipt if you need one. During busy times at the registration table, student and faculty helpers might be swamped and forget to ask you if you need one. Most of you will already have your PayPal paperwork or cancelled checks as receipts, but if you need something more than that, let us know at registration. Here’s the current forecast. It may seem a tad on the cool side for non-New Englanders, but it looks about normal for this time of the year (after having had an unusually hot early fall). All temperatures are given in Fahrenheit. There’s a reason why there’s an old New England wry remark that goes, “If you don’t like the weather, wait 15 minutes.”The best way to dress is in layers. Bring an umbrella and if you’re from away, a warm jacket for the the morning and evenings. The body feel temperatures may seem lower to those unaccustomed to them due to seasonal dew points. Don’t be surprised if you see native New Englanders waltzing about in much lighter clothing. It’s a New England thing and you shouldn’t try this at home! Thursday (for early arrivers) will feature plenty of sun with a high of 41 and a low of 32. Friday will be sunny with a high of 53 and a low of 46. Saturday will have some rain showers with a high of 54 and a low of 38. Sunday will be brisk: partly sunny with a high of 44 and a low of 30.